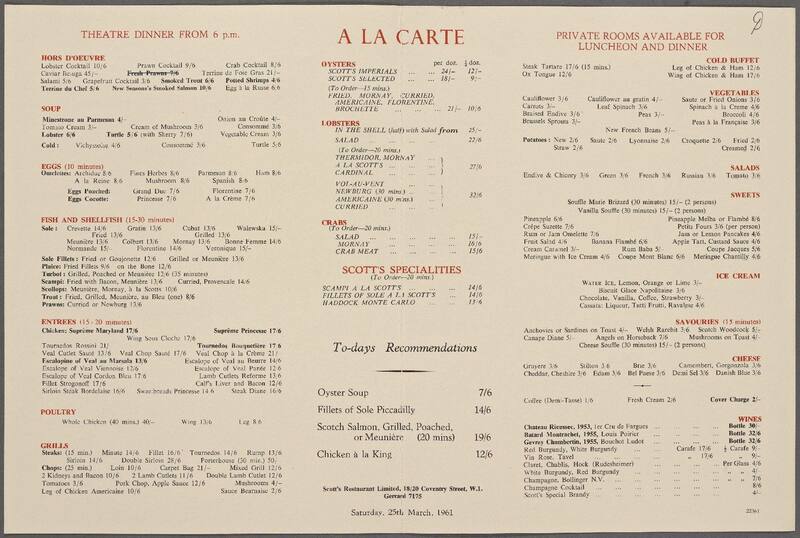 Menu from the Ye Olde Cheshire Cheese pub on Fleet Street, 1943. 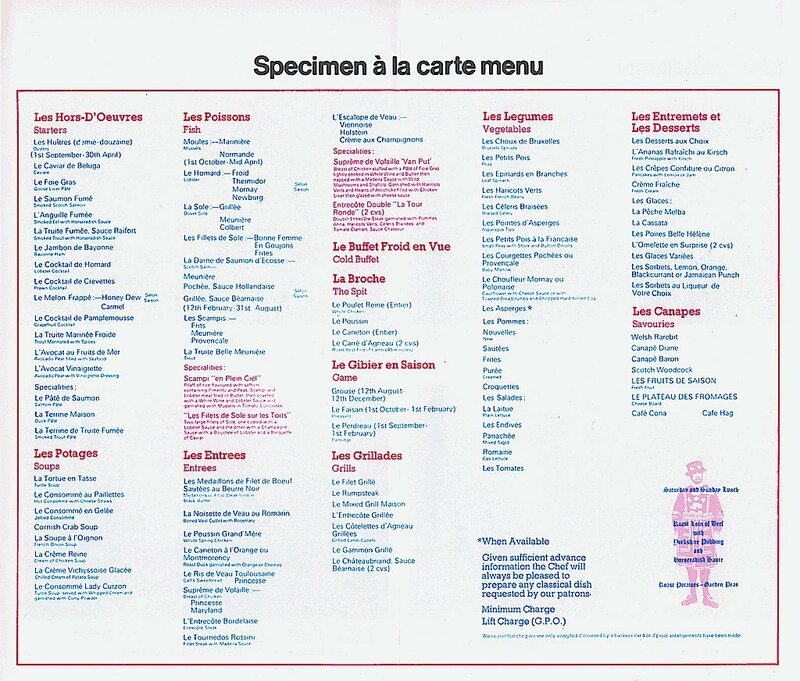 Note Lark being one of the ingredients for Wednesday’s pie. 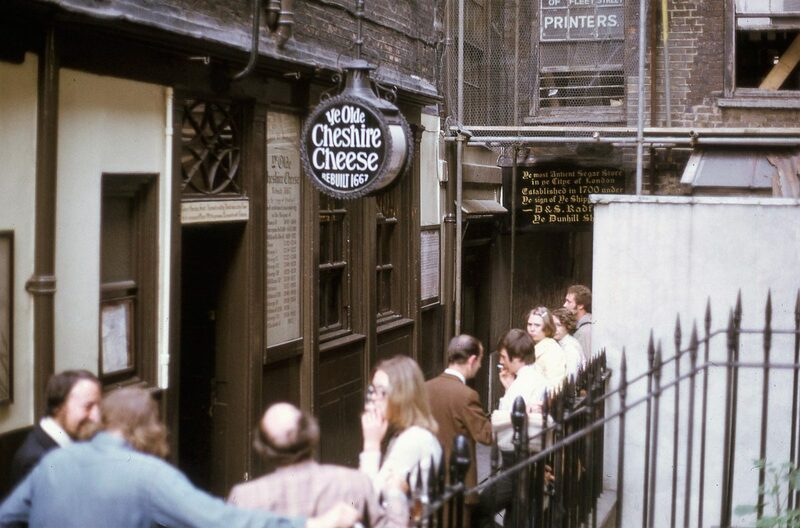 Ye Olde Cheshire Cheese is one of a few London pubs that were rebuilt after the Great Fire of London in 1666. There has been a pub at this location since 1538. Oliver Goldsmith, Mark Twain, Alfred Tennyson, Sir Arthur Conan Doyle, G.K.Chesterton, Charles Dickens and W.B. 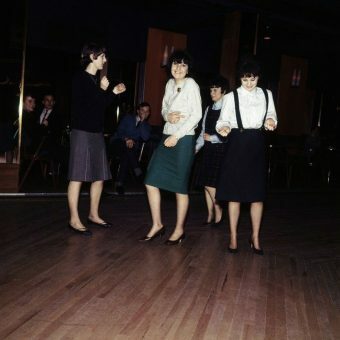 Yeats were all at one time or other said to be regulars. The famous Rumpsteak pie with added Lark served on Wednesdays comes from the recipe found from a book called The Corner Cupboard published in 1858: Make a paste of half a-pound of suet and one pound of flour. Roll it out, and line the dish with it. 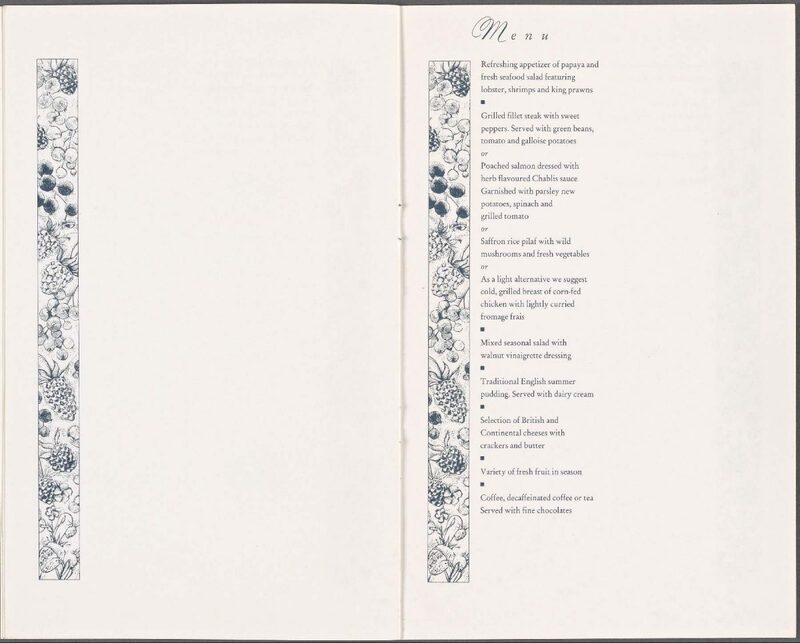 Then take one pound of rump steak, three sheeps kidneys, one dozen larks, nicely picked and drawn, and all well seasoned with two of salt and one of pepper, and one dozen oysters blanched, Cut the steaks thin and place them at the bottom of the dish, then the kidneys in a like manner, the larks on top, with an oyster in each. It should be boiled for five hours. In 1943 most food in Britain was rationed (bread, during the war, was an exception for instance). 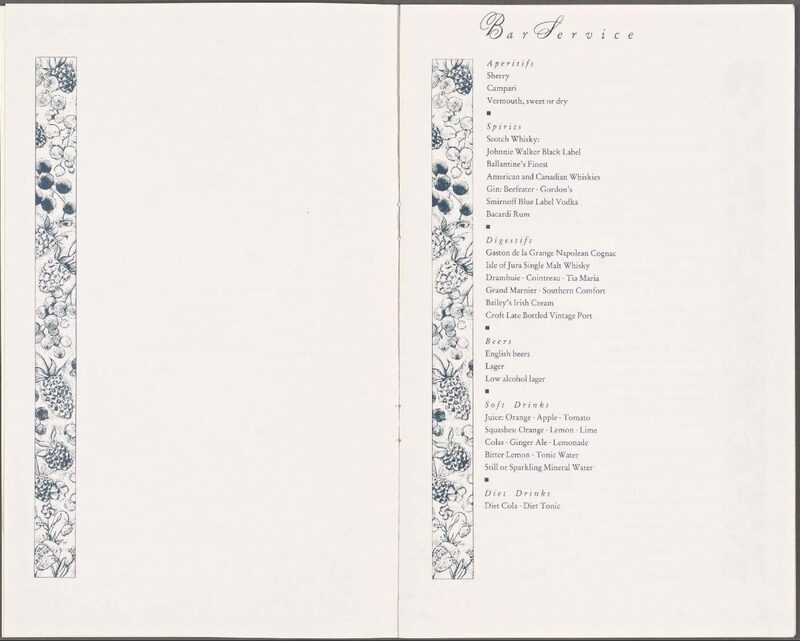 Food bought in restaurants was exempt, however, although no meal was allowed to cost more than 5 shillings (25p) and could not consist of more than three courses only one of which could consist of meat or fish. The use of birds such as Lark presumably was relatively prevalent in WW2 when there were extreme food shortages. 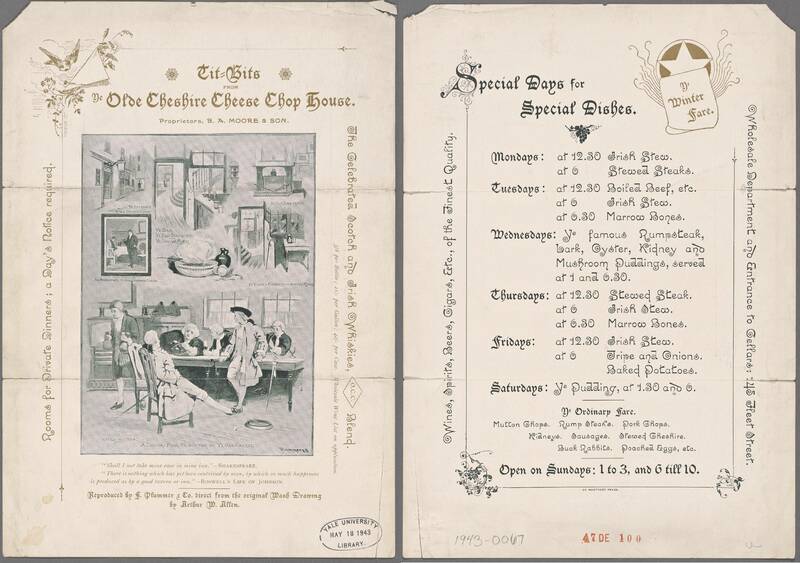 King Edward was famous for his gargantuan appetite but this menu from the 9 June, 1907 seems to be a rather tame affair. 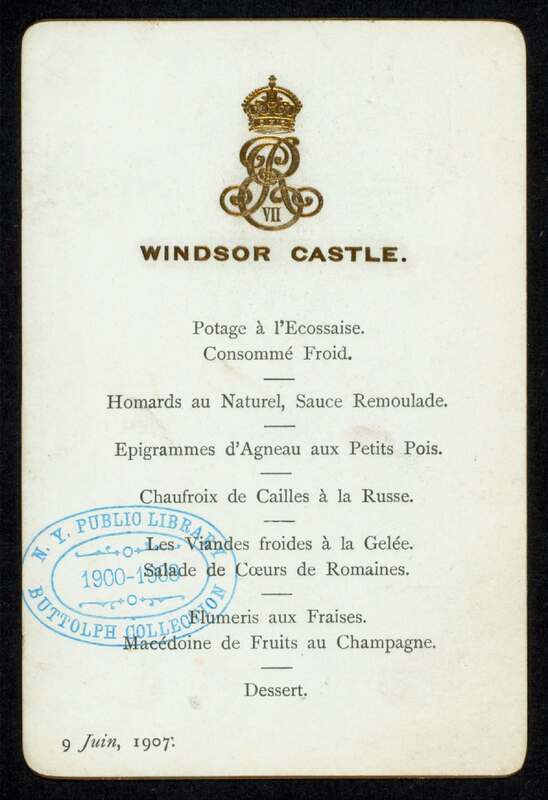 In his book, Edward VII, Christopher Hibbert describes a typical day’s eating for the king. Breakfast was platefuls of bacon and eggs, haddock and chicken, and toast and butter. An hour or so of shooting gave him the appetite for turtle soup. A full lunch at half past two — beef and Yorkshire pudding was a firm favourite, as was roast lamb. 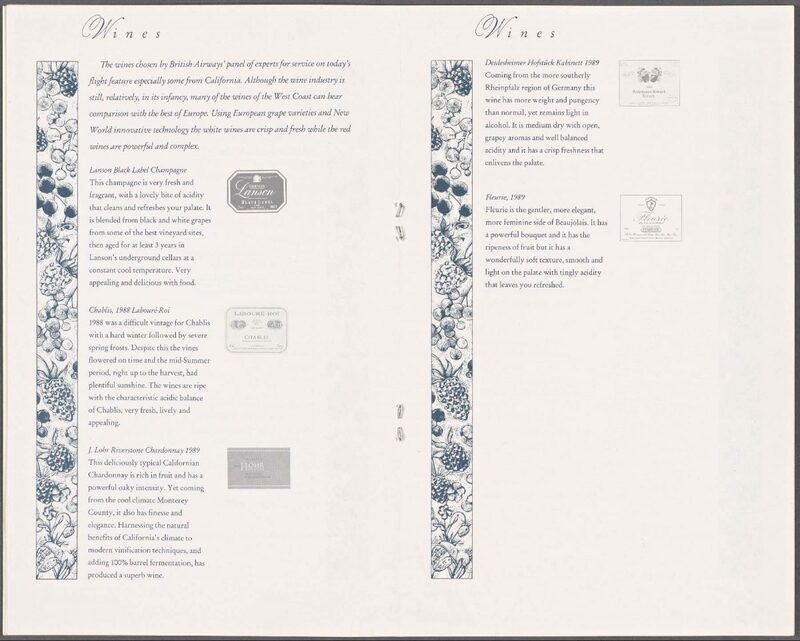 At teatime, he tucked away poached eggs, petit fours and preserved ginger as well as rolls and scones, hot cakes, cold cakes, sweet cakes and shortcake, of which he was especially fond. 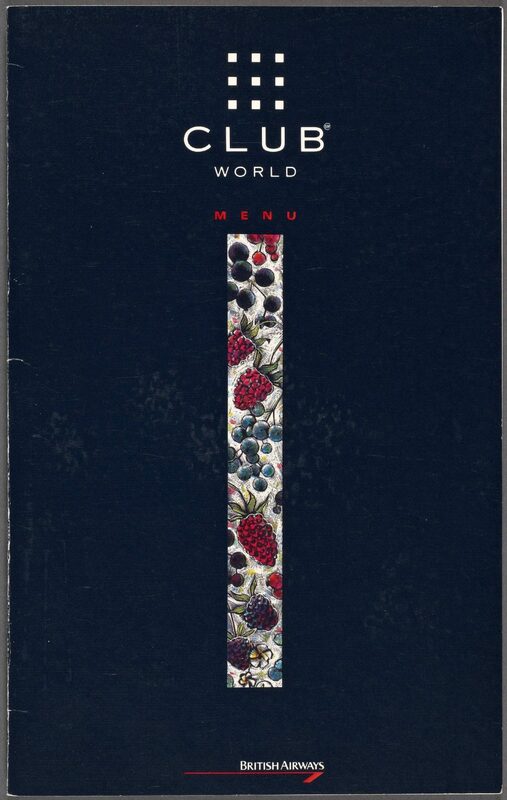 The back and front cover of Scott’s Restaurant’s menu dated 1961. 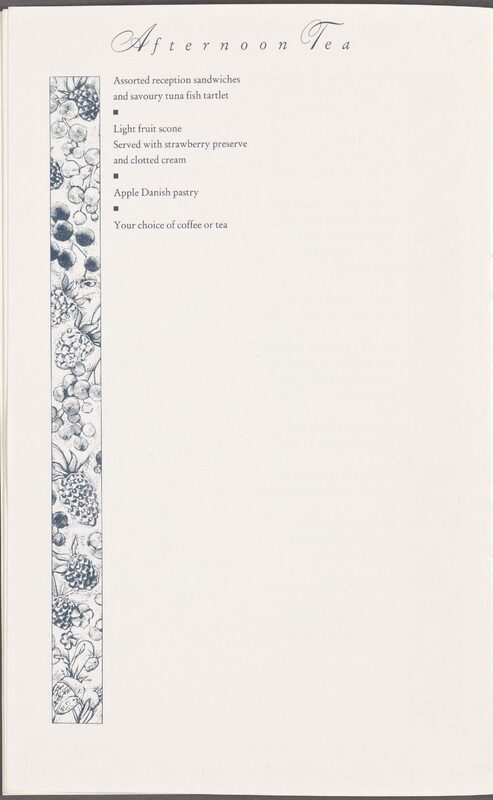 A menu from Scott’s Restaurant on Coventry Street near Leicester Square, 1961. 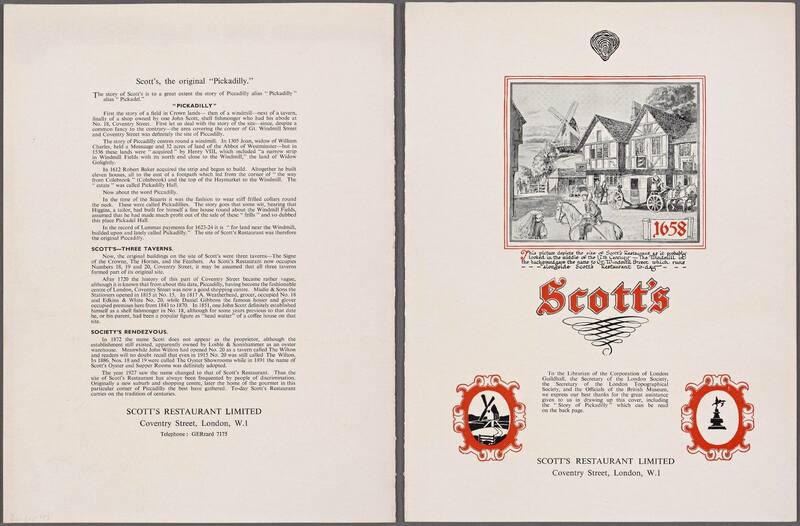 Scott’s restaurant still exists albeit in Mayfair but their oysters that once cost 12 shillings (60p) for a half dozen are now £15.75. 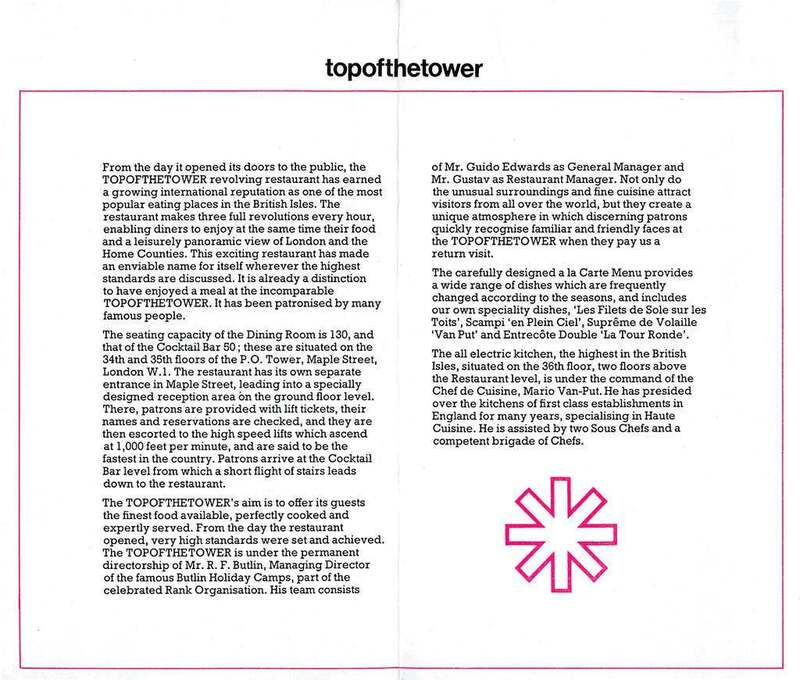 To put that into perspective the average wage in 1971 was about £40. 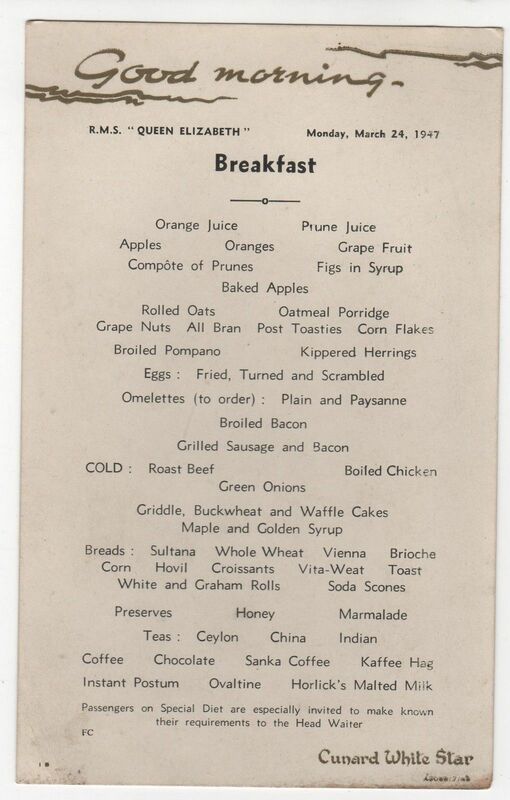 Breakfast menu on the RMS Queen Elizabeth in 1947. 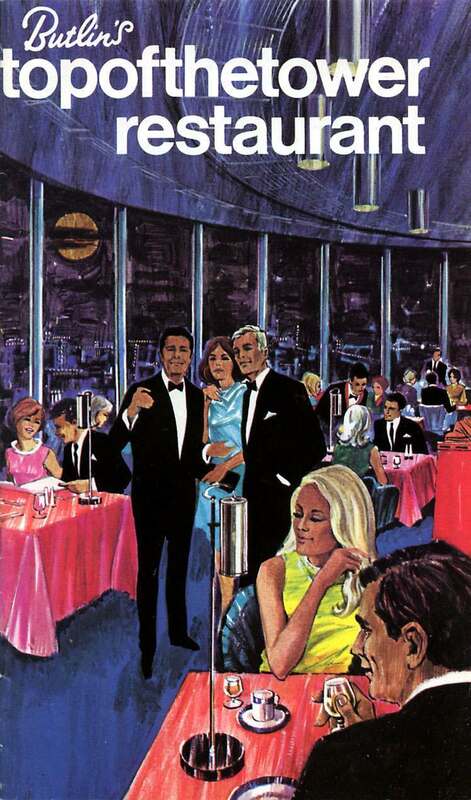 Instant Postum, by the way, was a caffeine-free beverage created by the Postum Cereal Company founder C.W. Post in 1895. 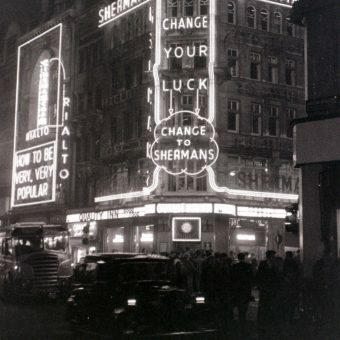 The instant version started to be sold in 1912. The RMS Queen Elizabeth was launched in 1938 and was at the time the world’s largest passenger liner. For those who are interested, and we presume there are many, it was the largest ever riveted ship ever built. Before she had the chance of doing anything else she was a troop ship in World War II (her speed was so fast she usually had no need of a convoy). She carried 750,000 troops and travelled 500,000 miles during the war. 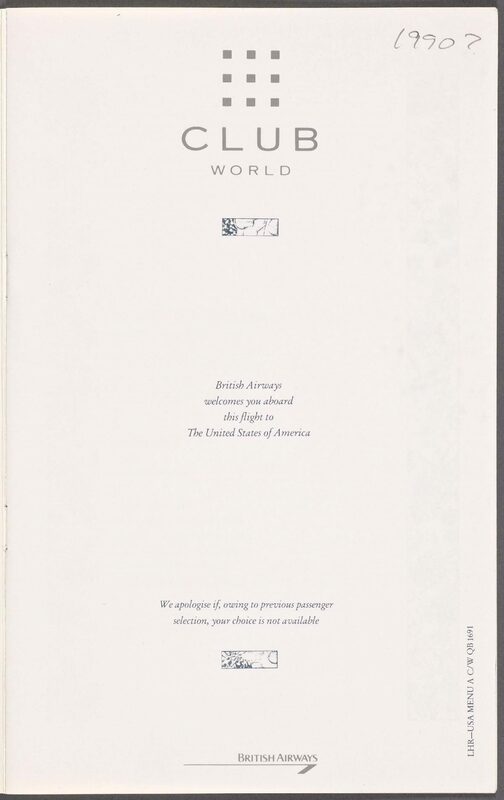 It wasn’t until October 1946 she resumed her original use as a luxurious transatlantic liner. 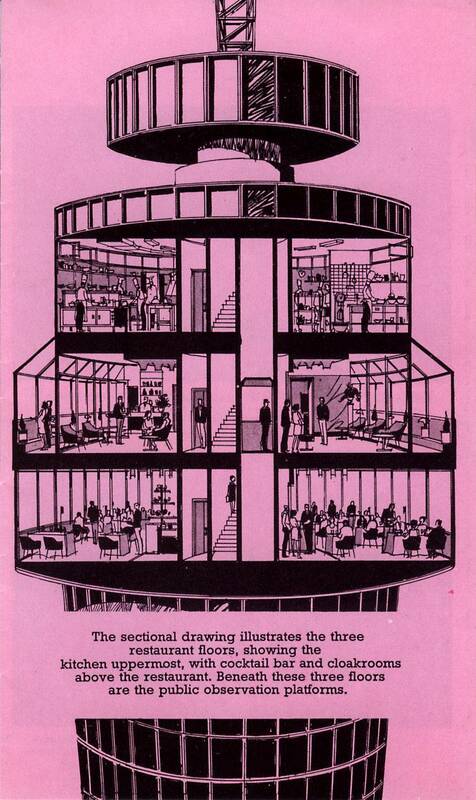 In 1972 she caught fire in Hong Kong harbour, capsized and was scrapped where she lay. 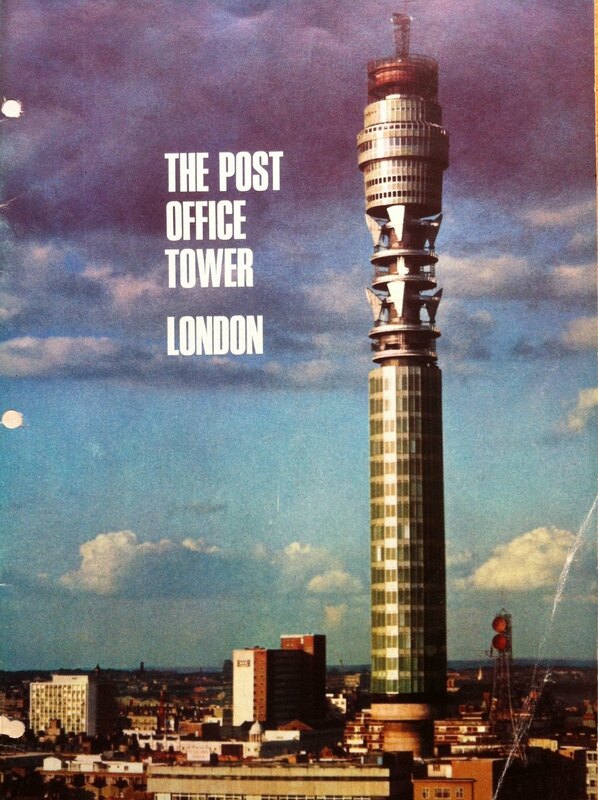 The Post Office Tower, as the BT Tower was originally known, was officially opened to the public on 16 May 1966 by Tony Benn and Billy Butlin. 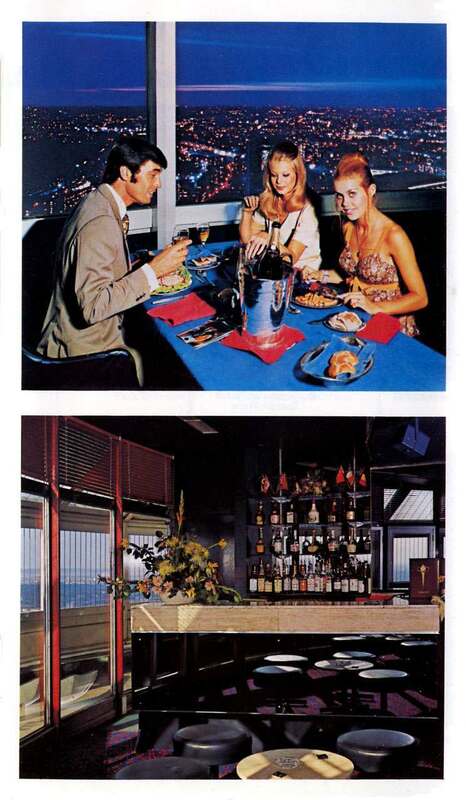 As well as the communications equipment and office space there were viewing galleries, a souvenir shop, and a rotating restaurant, the “Top of the Tower”, on the 34th floor, operated by Butlins.